So I recently went out and fished the surf for surf perch. 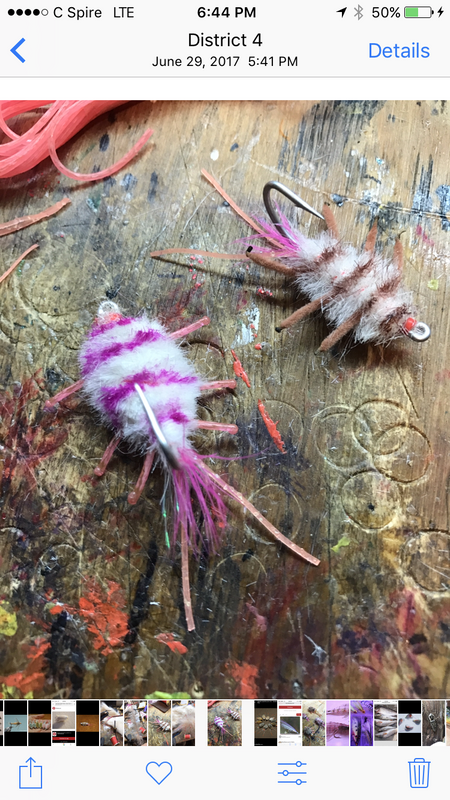 I looked up what flies are best to use for them and it seemed like sand flea (commonly called sand crabs or mole crabs) are their favorite food, so I tied this fly up for them and really liked it! I looked up common flies, and took a few different styles and merged them together to make my own. It came out looking just like the little creatures, and its really not too difficult to tie either. I don't tie for salt water but everything you showed was well done and nicely presented in line with the barbell flies I tie for bass. Good job! The mallard flanks for the "shell back" is great idea. I had that problem with these with craftfur dubbing. Those are really nice! Good job man! So, I didnt even think about craft fur dubbing, that probably makes a super dense and nice body. I like it! Looks simiar to mole crab flies I've tied for surf perch and corbina in the CA surf. I use regular mallard and mallard died wood duck gold to better match the sand and crabs on many of the beaches on the west coast. I don't know if it makes a lick of difference when you're stripping bugs through the wash, but it gives me confidence. Did you catch any perch? So far the only thing I've succeeded in catching surf perch with besides gulp sand worms is a basic white baitfish fly with pink around the belly/gill area and some flash, if they're rigged tandem the catch ratio is about 1:1. Ill try a baitfish fly like Vicente suggest also. You'll catch em right off the shore you don't have to get out to where the waves are crashing, I've literally caught them in places that were bare sand between waves before. See thats what I thought! 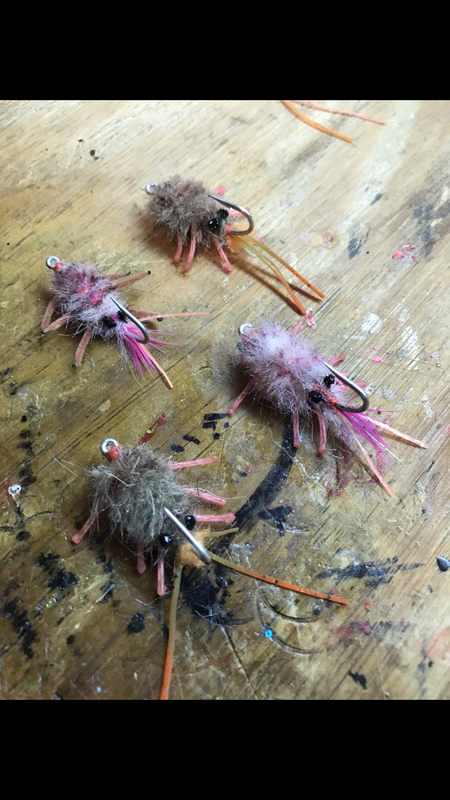 I tried this sand crab pattern, a red worm pattern (I posted here a while back) some assortments of small baitfish patterns also. Just nothing that day. It was high tide, but the low slack tide, not the high slack tide. Like there are 2 high tides, it was the smaller of the 2... Ill make sure and hit the highest one. Yea today the tides were weird where I'm at also just terrible timing for me, the tides4fishing website is usually helpful for those of us who don't know how all the tides effect fishing. I haven't salt water fished for decades. But if I remember correctly, it's neither high nor low tide you should seek ... but everything else. Moving water of the outgoing or incoming tides are better than either high or low. Thanks for the info, now Im confused... haha! Ive been told 1 hour before and after high, same with low, and now anywhere in the middle... haha!!! The slack tides have less water movement so the fish aren't as active, right before low and high tide should be good.